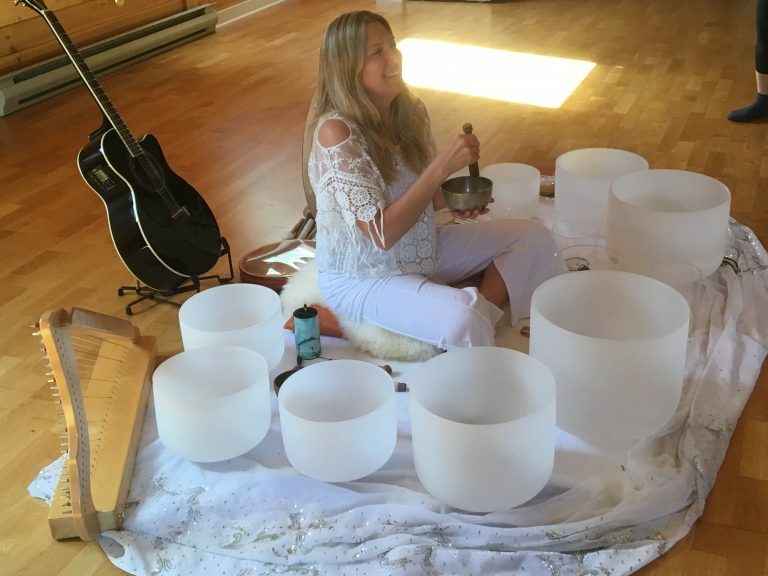 Weaving together Crystal Singing Bowls and Theda’s angelic vocals, as well as other sound healing instruments; drum, harp and guitar to powerfully clear and transform energy. The vibrational frequencies of sound will clear tension and guide you into graceful release, leaving you nourished and renewed with a feeling of deep peace, trust and surrender. Theda Phoenix is a singer, songwriter and intuitive song and sound channel drawing on her empathic abilities to reflect back the intention and energy of the group through song. She creates music for healing and transformation, touching people deeply with her angelic, transporting voice and shamanic vocal sounds. Her music inspires a deep connection to the heart and the spirituality of the human experience, celebrating the miracle of existence and the intrinsic loving essence within all, reminding listeners of their own inner guidance and connection to source energy.